Activism - sister-hood magazine. A Fuuse production by Deeyah Khan. sister-hood wants to generate positive change for women through activism. We share campaigns which our readers might wish to support. If you know of petitions, campaigns, demonstrations or other ways of creating change relevant to our readers, please tell us! 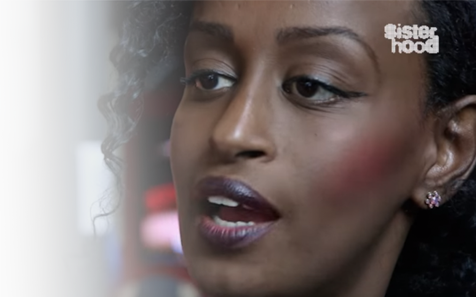 Anti-FGM Campaigner and sister-hood ambassador Leyla Hussein explains how the smallest of efforts can make a big difference. We’re proud partners of #BridgesNotWalls, taking place on Trump’s Inaugural. Get involved, wherever you are. When Trump’s inauguration day comes, be part of a UK-wide banner drop from bridges across the country to send a simple, hopeful and unmistakable message. We will build bridges, not walls, to a peaceful and just world rid of oppression and hatred. Check out the official website to find a bridge near you, or why not organise a banner drop yourself? Join Nadia in calling on the Iraqi Government to prosecute the genocide against the Yazidi peopleOn 3rd August 2014, the so-called Islamic State waged an attack on the Yazidi people in Sinjar, Iraq, killing more than 3,000 civilians and enslaving 5,000-7,000 more, mostly women and children.Current estimates suggest 3,200 Yazidis remain in ISIS captivity, including Yazidi women who are being used for sexual slavery. This is genocide. It’s not just us saying it – the European Parliament officially recognised it last month. Led by Nadia, the surviving Yazidi community has requested that the International Criminal Court take on this case – and they’re asking for our help. Bangladesh Prime Minister of Sheikh Hasina : Protect the rights to freedom of religion, belief, and expression.